Darren, the vampire's assistant, gets a taste of the city when he leaves the Cirque Du Freak with Evra the snake-boy and Mr. Crepsley. When corpses are discovered--corpses drained of blood-- Darren and Evra are compelled to hunt down whatever foul creature is committing such horrendous acts. Meanwhile, beneath the streets, evil stalks Darren and Evra, and all clues point to Mr. Crepsley. 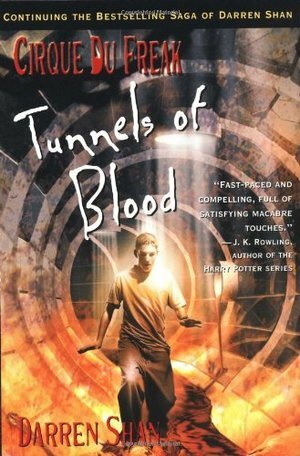 Can they escape, or are they doomed to perish in the tunnels of blood?